Why look average like every other Ford F150 out there? 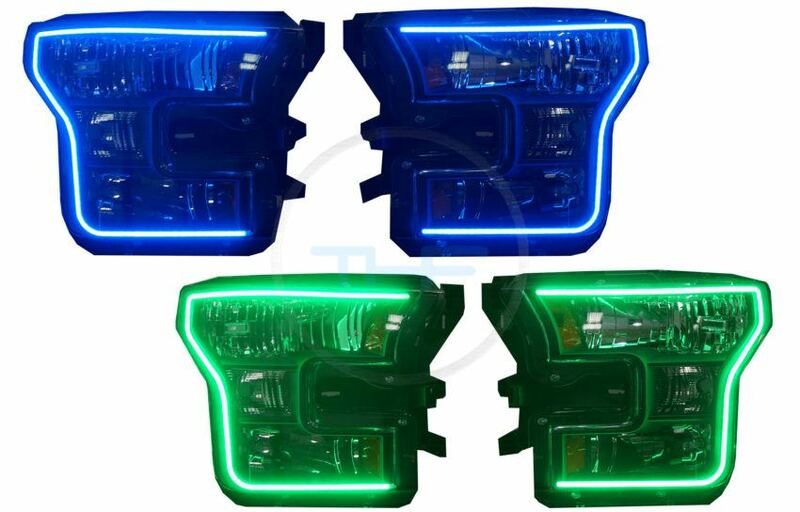 Update today with your new unique look, there isn’t many of these headlights out there, stay ahead of the trends! 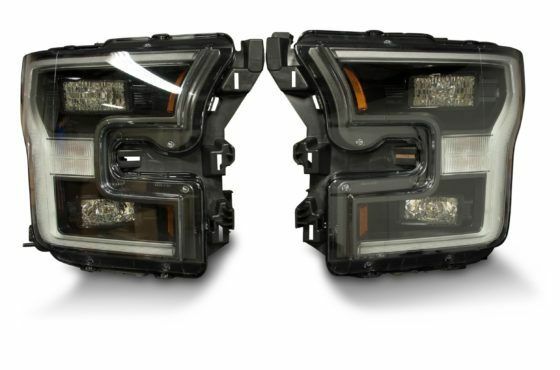 The HID Factory prebuilt halo headlights come w/ switchback functions available. 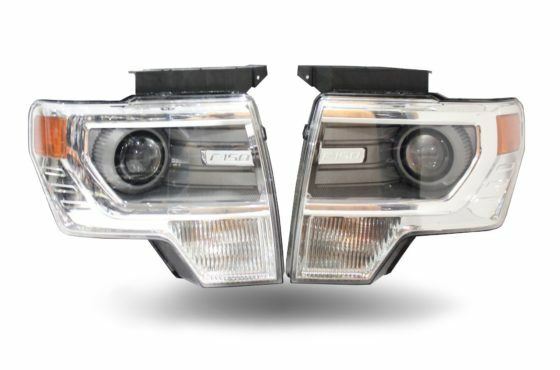 Why wait days to have your headlights built when you can buy prebuilt without all the hassle of opening and closing your headlights? Most install attempts by rookies usually end up having to purchase a new headlight due to melting in moms oven or using a cheap heat gun! 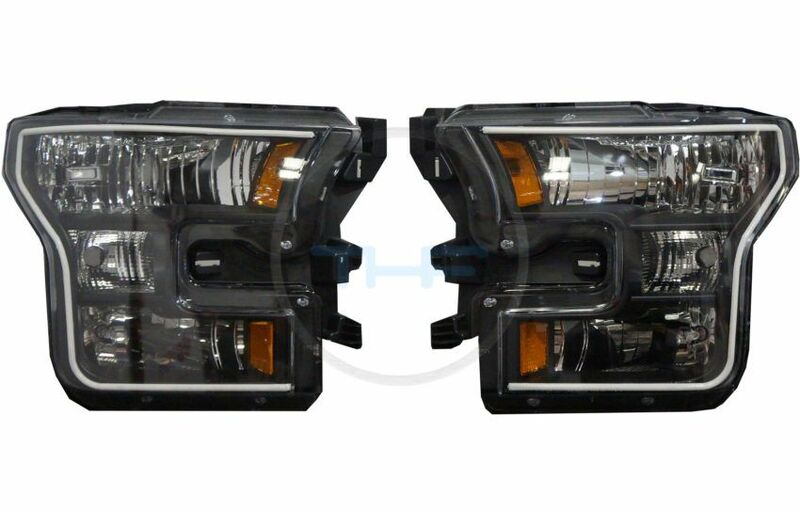 9 times out of 10 you probably haven’t ever opened a headlight before, meaning your taking a huge risk by doing it yourself. 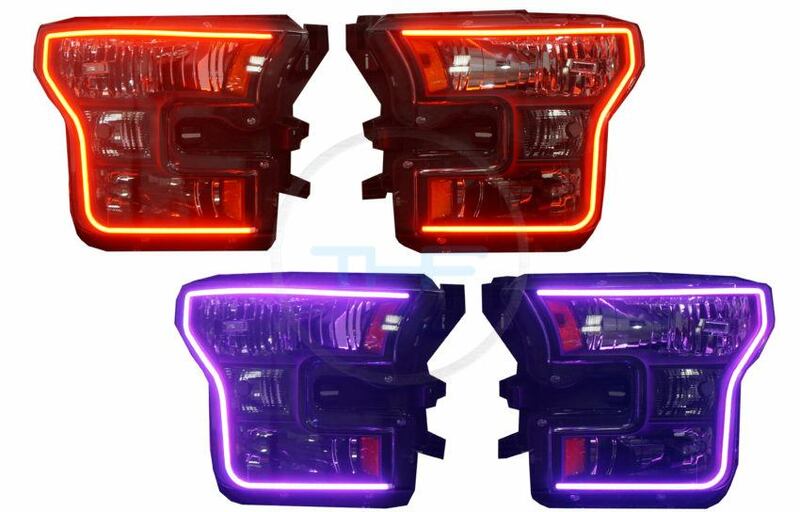 If you want to knock off $100 off this price, you can swap me your factory headlights! 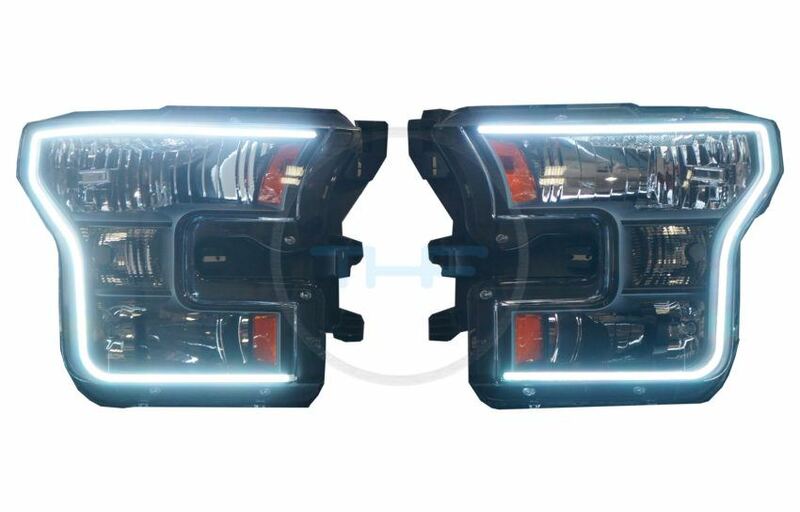 Profile Performance: The automotive aftermarket’s best name in LED Lighting and when it comes to Fitted LED Halos; easily the one we recommend. Fact is that while the rest of the industry is busy sticking their name on a generic or standing still with the same-old same-old; Profile is working hand-in-hand with the industry’s experts to produce the performance that we all expect. 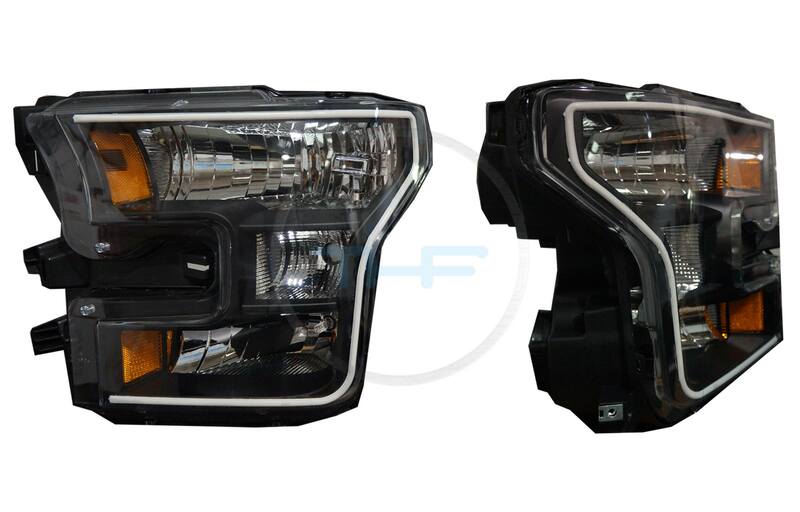 Their Ford F150 headlight kits are unrivaled, and here’s why. 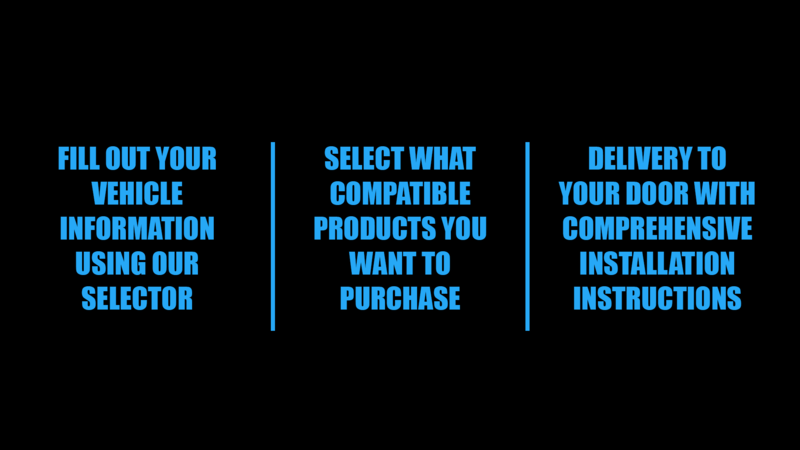 What’s Weird: Most everybody who buys an RGB setup is crazy focused on how it works in the white-mode…almost as if that’s even more important than the rest of the colors. Well, the good news is that the new Profile Prism halos and their drivers have been tuned to produce an amazingly clear, neutral white, as well as an amber, and every other color in the spectrum for that matter. When paired up with the Morimoto XBT Controller & smart phone app, these produce very accurate colors…reds, blues, greens, teals, purples, pinks…you name it! Switchback: Profile’s specially designed drivers have a separate input wire for your turn signal circuit. When triggered, the LED driver will automatically interrupt the RGB mode and flash a pre-programmed amber color for a switchback turn signal. 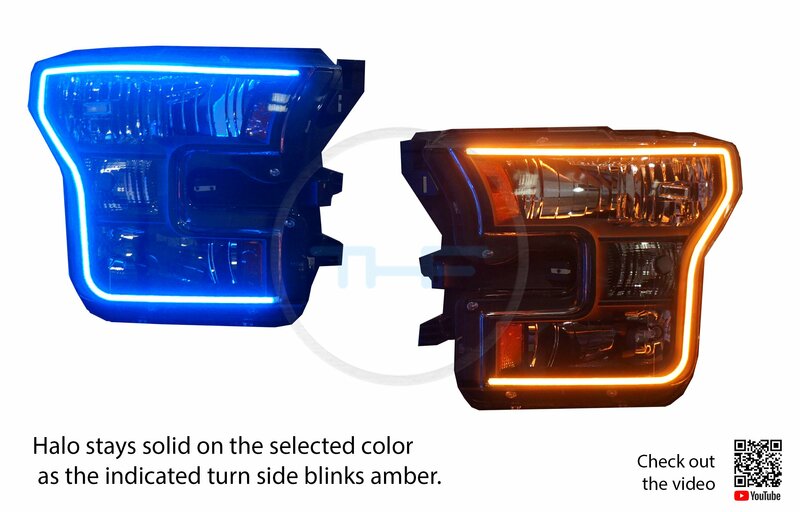 When the turn signal stops, the RGB mode will automatically return to its previous setting. Game over! Uniformity: We’ve never seen an RGB ring produce such uniform, bright light. 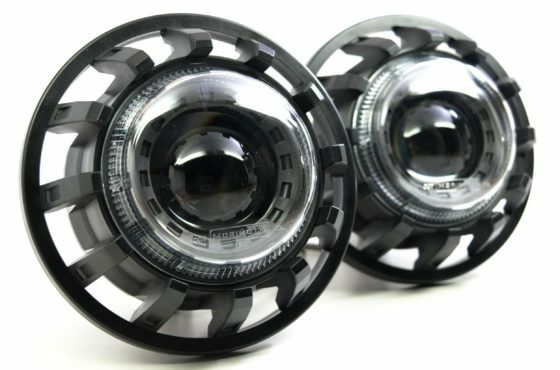 An updated blend of phosphorous silicone coats the front face of the Prism LED halos and is responsible for their neutral “white when off” look and their amazing, uniform intensity – which is unlike anything else on the market. If you want to go for the “braces” look with all the exposed, generic LED’s that everybody else is pushing…go for it…but you wont find any of that old-school stuff here. 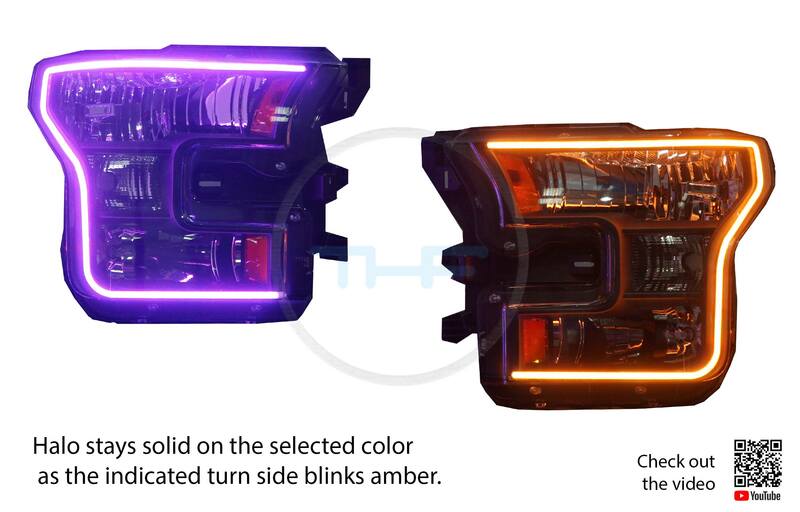 Reliability: The innovative Hybrid-LED color-changing technology delivers a virtually infinite lifespan of 50,000 hours. That’s almost six straight years! Because they’re based on much more stable and mature SMD-LEDs; they are considerably more reliable between hot/cold cycles compared to “new” COB based products. The complexity of their circuit boards has been minimized to reduce the chance of a failed contact, and the four solder points on the back are protected with resin.